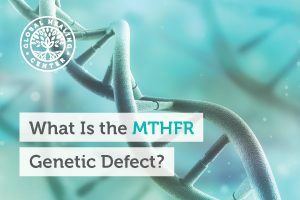 What is the MTHFR Genetic Defect and How Can it Affect You? 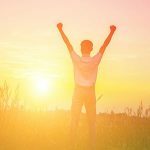 Many news outlets, and indeed some pharmaceutical makers, lead us to believe that we are merely a product of our genes, but this isn’t true at all. In fact, studies on identical twins, who start out with identical genes, reveal that lifestyle is a much more powerful influence on health. 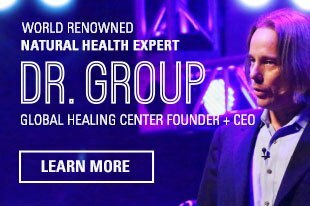 So while your genes do play a role in the initiation and development of some diseases, you day-to-day choices largely determine how (or if) these genes can affect your life and health. Genes are stretches of genetic information on your chromosomes that provide instructions to your body. The MTHFR gene provides the directions to produce an enzyme called methylenetetrahydrofolate reductase. 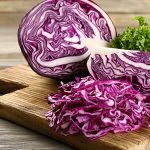 This enzyme is responsible for many important processes such as amino acid balance, DNA synthesis, and repair, regulating gene expression, converting inactive folic acid or folate into the active form your body uses. Note: The abbreviated MTHFR gene is often confused with the enzyme it codes for, methylenetetrahydrofolate, and the product the enzyme helps make, levomefolic acid (also called L-methylfolate and 5-methyltetrahydrofolate). For clarity, we will specify either the MTHFR gene, the MTHFR enzyme, or levomefolic acid throughout this article. The MTHFR enzyme converts inactive folate to the active form your cells need, levomefolic acid. Put more simply, this gene is responsible, in part, for converting vitamin B9 (folic acid) into a form your cells can use for metabolism. If you aren’t able to convert inactive B9 into levomefolic acid, the effects multiply as other metabolic processes are affected, and cellular processes slow to a halt. Depending on the severity of the variation, you might be completely unable to convert inactive B9 to its active form, or simply have a reduced capacity to do so. 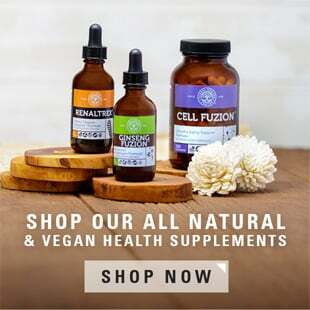 Active folate is essential for cell division, heart function, DNA synthesis, DNA repair, eye health, brain function, memory, and proper fetal skeletal and brain development. You need levomefolic acid to convert the amino acid homocysteine into other forms required by the body. Without this enzyme, homocysteine can build up in your blood and other tissues as you are unable to produce homocysteine-derived products like cysteine, methionine, and other necessary intermediaries you need for an assortment of metabolic processes. Methylation, a process involving the transfer of a methyl group to another compound, is also associated with the MTHFR gene. Proper methylation enables the body to detoxify some potentially risky compounds generated by, or taken into, the body. Levomefolic acid is a universal methyl donor, which means it can safely transfer its methyl group to detoxify or otherwise modify compounds in your body. Methylation is particularly important in the brain. 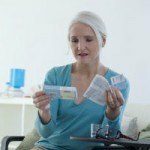 Whether your doctor has determined that you have the MTHFR gene defect or you are experiencing similar symptoms related to the disorder, there are a few steps you can take to protect yourself from its effects. 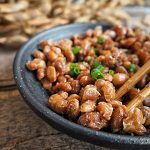 You’ll find methionine in plant foods, like soy and beans, but it’s more concentrated in animal-based foods. There are many benefits to a plant-based diet, and it's typically what we recommend, but that's everyone's own choice. Further, make sure to avoid synthetic folic acid and exposure to environmental toxins which can tax the liver. Perform a liver cleanse at least twice a year to facilitate the removal of toxins and wastes. Finally, speak with your healthcare provider about methylated folate. This is the active form of folate that your body should convert B9 and it may be an important supplement to implement in your daily health regime. Kulshreshtha, A., et al. "Association Between Ideal Cardiovascular Health And Carotid Intima-Media Thickness: A Twin Study." Journal of the American Heart Association 3.1 (2014): e000282-e000282. Web. 6 Apr. 2017. Reference, Genetics. "MTHFR Gene: Methylenetetrahydrofolate Reductase." Genetics Home Reference. N.p., 2017. Web. 6 Apr. 2017. Li P, Qin C. "Methylenetetrahydrofolate reductase (MTHFR) gene polymorphisms and susceptibility to ischemic stroke: a meta-analysis." Gene. 2014 Feb 10;535(2):359-64. doi: 10.1016/j.gene.2013.09.066. Epub 2013 Oct 16. Young, Simon, and Shalchi, Marjan. "The Effect Of Methionine And S-Adenosylmethionine On S-Adenosylmethionine Levels In The Rat Brain." Journal of Psychiatry and Neuroscience (2005): 44-48. Web. 6 Apr. 2017. Karakula, H, et al. "Does Diet Affect Our Mood? The Significance Of Folic Acid And Homocysteine." Polski Merkuriusz Lekarski 152 (2009): 136-141. Web. 6 Apr. 2017. "Vitamin B9 (Folic Acid)." University of Maryland Medical Center. N.p., 2017. Web. 6 Apr. 2017. Jakubowski, Hieronim. "Pathophysiological Consequences Of Homocysteine Excess." The Journal of Nutrition 136.6 (2017): 1741-1749. Web. 7 Apr. 2017. Azimova J.E., Sergeev A.V., Korobeynikova LA., Kondratieva N.S., Kokaeva Z.G., Shaikhaev G.O., Skorobogatykh K.V., Fokina N.M., Tabeeva G.R., Klimov E.A. "Effects of MTHFR gene polymorphism on the clinical and electrophysiological characteristics of migraine." BMC Neurol. 2013 Aug 5;13:103. doi: 10.1186/1471-2377-13-103. Gilbody S., Lewis S., Lightfoot T. "Methylenetetrahydrofolate reductase (MTHFR) genetic polymorphisms and psychiatric disorders: a HuGE review." Am J Epidemiol. 2007 Jan 1;165(1):1-13. McCarty, Mark F., Jorge Barroso-Aranda, and Francisco Contreras. "The Low-Methionine Content Of Vegan Diets May Make Methionine Restriction Feasible As A Life Extension Strategy." Medical Hypotheses 72.2 (2009): 125-128. Web. 7 Apr. 2017.